The word Naga comes from the Sanskrit, and nag is still the word for snake, especially the cobra, in most of the languages of India. When we come upon the word in Buddhist writings, it is not always clear whether the term refers to a cobra, an elephant (perhaps this usage relates to its snake-like trunk, or the pachyderm’s association with forest-dwelling peoples of north-eastern India called Nagas), or even a mysterious person of nobility. According to the Sanskrit epic poem, the Mahabharata, the Hindu gods decided to mix up a batch of soma, the elixir of immortality. The gods were to drink the elixir to become immortal. The gods needed help from the demons to stir up the oceans to produce the elixir. O Kali, my mother full of bliss! Enchantress of the almighty Shiva! Kali is one of the most well known and worshipped Hindu Goddesses. 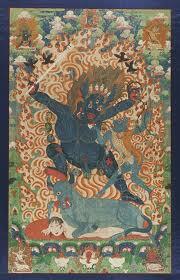 The name Kali is derived from the Hindu word that means “time”, and that also means “black”. The person who has Kala Sarpa Yoga in his horoscope will suffer from various problems in life. Hence Kala Sarpa Yogam or Kalsarpa Yoga is regarded as a deadly yoga in Hindu astrology. Kala Sarpa Yoga is formed when all the planets are hemmed between the Navagraha Planets Lord Rahu and Lord Ketu in one’s horoscope. There are mainly 12 types of Kala Sarpa Yoga. Below are the details of the twelve Kala Sarpa Yogas and the positives and negatives of the yogas. A Mantrik or mantric is someone who specializes in practicing mantra. In India the word mantrik & similar names are synonymous with magician in different languages. Generally a mantrik is supposed to derive his powers from the use of charms, mantras, spells and other methods. A Hindu mantrik is known to worship Kali and is often mentioned in the same breath as tantric, though there are subtle differences.